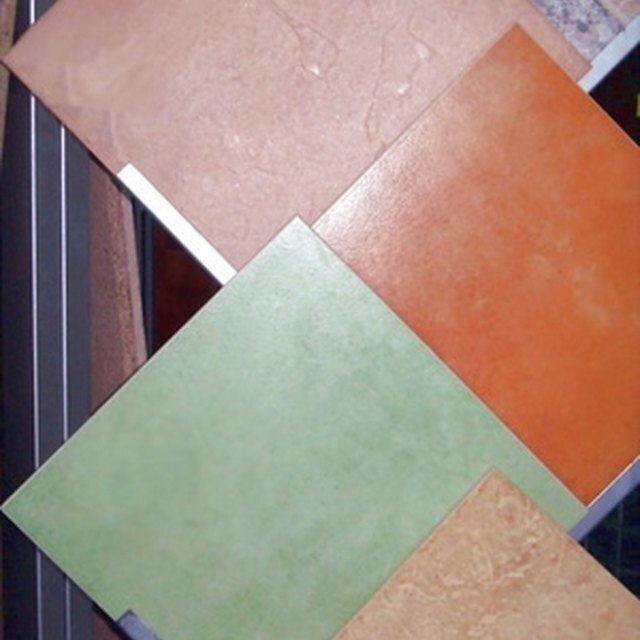 Glass tile offers a unique look that ceramic or plastic cannot replicate. The benefit to having glass tile, aside from the aesthetics, is that it isn't porous, which makes it very easy to clean. If your glass tile is in the bathroom it can accumulate a buildup of soap scum, and if you have hard water it tends to taint everything it touches. Fortunately it's very easy to make glass tiles shine like new. Spray the tiles thoroughly to saturate them. Allow the solution to sit on the tiles for 5 to 10 minutes. This will give the vinegar a chance to eat away at any hard water or soap scum buildup that may be there. Use a soft-bristle brush to clean the grout. An old toothbrush or a nylon brush will work just fine. Anything more coarse may scratch and damage the grout. Wipe the tiles with a clean soft cloth and rinse them with clear water. Dry the tiles with a clean, dry towel to help prevent any water spots or streaks. Ammonia is an effective alternative to vinegar. Never use ammonia and bleach at the same time. Avoid the use of abrasives that may scratch or damage the tiles and grout.